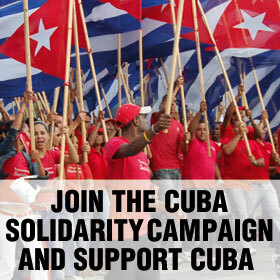 The Cuba Solidarity Campaign has a network of groups which organise events and meetings locally to promote the work of the national campaign. They focus on welcoming new members, encouraging people to join CSC, organising local meetings and activities, as well as getting involved in national campaigns and events. Some meet monthly and have regular activities, while others organise events a couple of times a year. All local group organisers are unpaid volunteers and would love new members to get involved. If there is not a local group in your local area and you are interested in starting a new one then do get in touch. Please don’t hesitate to contact the CSC National Office if you are having trouble contacting your local group or want to find out more. Also check out our events page for activities near you.